Cut white sandwich bread into squares and arrange in 2 ramekins. Combine milk, butter, fresh cream, vanilla extract and castor sugar. Pour boiling mixture over sandwich bread and set aside. Lightly whish egg, sugar and fresh cream. Add custard powder and almond mixture and stir into mixture. Let mixture stand for 30 minutes before pouring into ramekins. Sprinkle raisins and pour in the remaining rum on the bread and butter pudding. 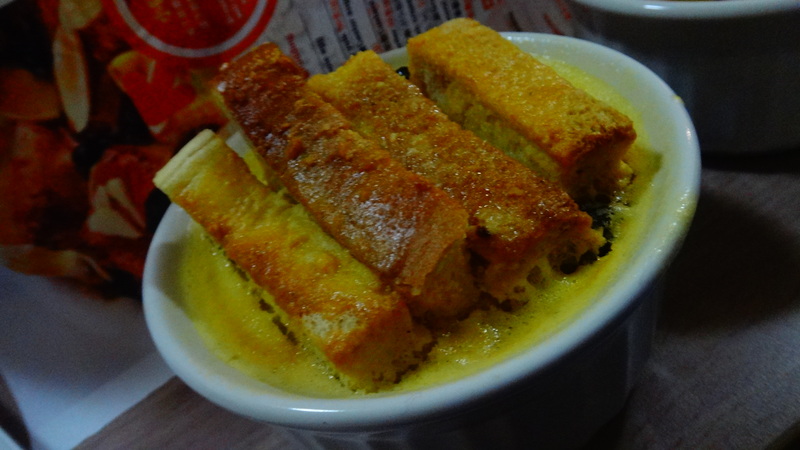 Put the bread and butter pudding with a water bath and out it into the oven and bake at 140 degrees C for 30 minutes. Remove from oven and serve warm. Will SHE make it again?